Using the Odyssey program, third-, fourth- or fifth-grade students can be taught science, history, geography, social studies, reading and math in a fast-paced, engaging way that correlates to Florida Standards. Odyssey nurtures a greater awareness and appreciation of Florida’s watersheds and their ecosystems, and promotes responsible actions for the health, protection and use of Florida’s water resources. Students’ knowledge can be tested with practice questions modeled after standardized testing and students can be rewarded with educational games and certificates of completion. Introduces students to the world of water through an entertaining, interactive program. 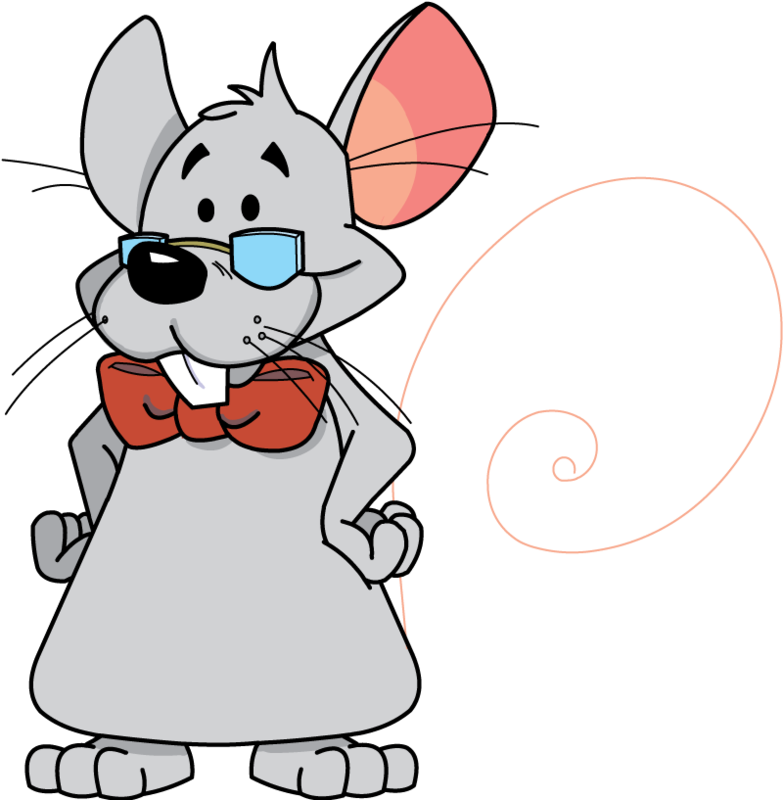 Features cartoon animation with friendly characters, voices and music. Enhances critical thinking skills and improves reading skills. Provides stories to read along with fun, challenging quizzes. Easy online access, instructional resources and student progress monitoring at your fingertips. Includes an educator’s manual for each grade level, background information, and learning and reading extensions. The program is correlated with Florida Standards. Provides an engaging, hands-on and fun learning experience. Develops an awareness of Florida’s fragile water resources. Develops positive water use behaviors. With Odyssey, educators have the flexibility to teach from any grade level and any module, at his or her own pace. You might need your sunglasses, a swimsuit or a parka for your adventures in the third-grade version of The Great Water OdysseySM. As students proceed through the program, they learn about water and how to conserve it. As they collect points, they unlock quizzes and fun games, such as the Cloud Game, Concentration Game and Standard System Measurement Game. 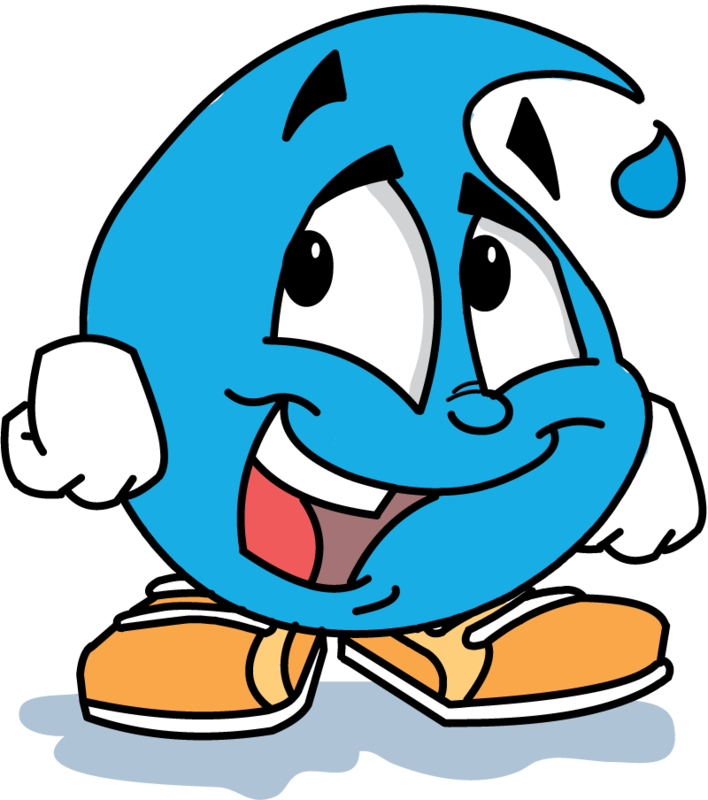 Meet Hydro, a somewhat naive waterdrop who is looking for his wayward waterdrop cousin, Agua. 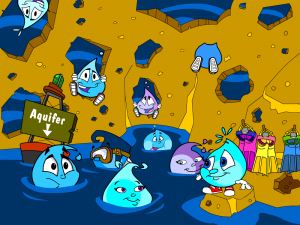 Following Agua’s clues leads him on a tumbling journey through the water cycle. Then Raleigh Otter teaches us more about the water cycle with an interactive view of a watershed that shows us how waterdrops like Hydro move through it. Following Agua’s lead, Hydro freezes and melts, changing between several states of matter. Along the way, we learn how heat and cold impact the water cycle. 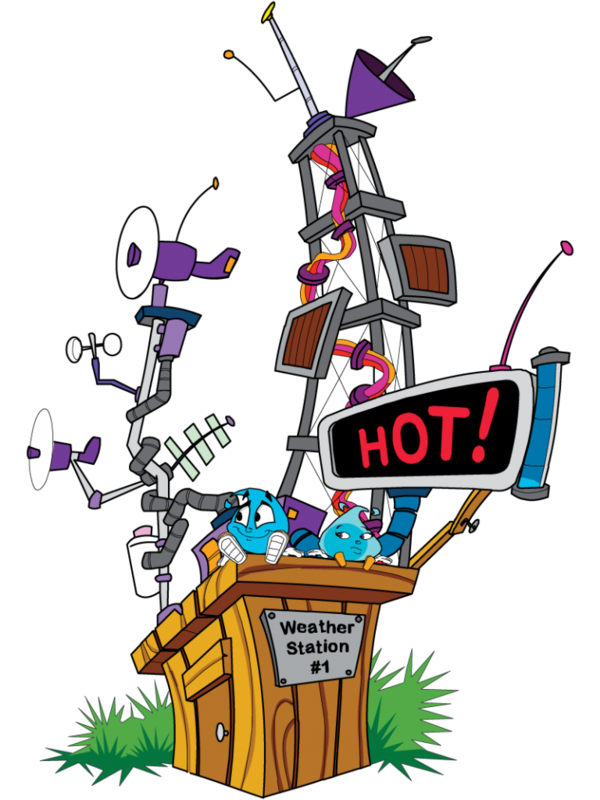 Hot on Agua’s trail, Hydro evaporates and lands in a cloud, where a clue from Agua sends him on a geographic quest, exploring watersheds in Florida, North America and the world. 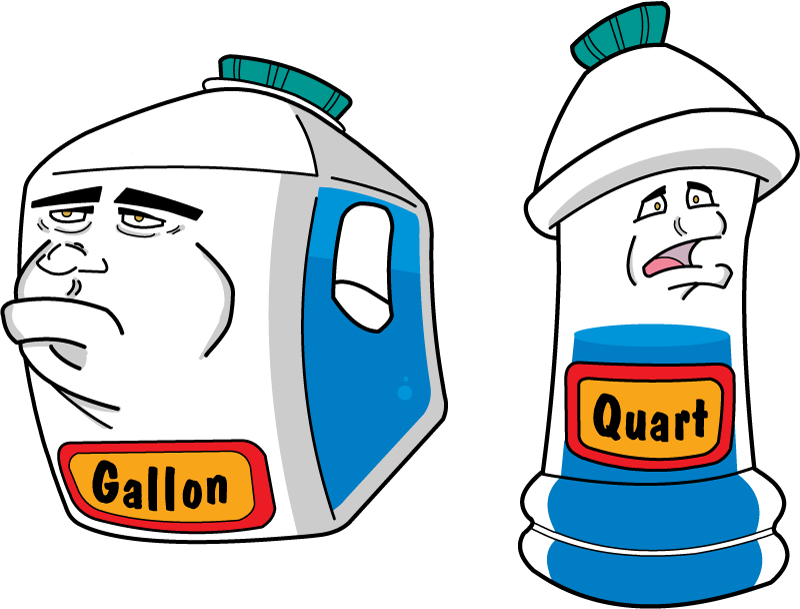 In Alice the Alligator’s kitchen, Hydro meets a quart and gallon that teach him about standard measurements. Hydro is impressed, but eager to find his cousin. An interactive display allows us to search Alice’s kitchen, finding tips for conserving water in the home and interesting facts about how much water is found in different foods and the human body. Hydro nearly caught Agua in the water treatment process, but lost her through a leaky pipe. After avoiding being rinsed down Ramon the Raccoon’s sink, a friendly toothbrush listens as Hydro describes the wonders of water treatment. Then, with Ramon’s help, Hydro shows us how water gets to a house through a well or public water supply system and how water leaves through a sewer or septic system. We learn valuable conservation tips along the way. Will Hydro ever find Agua? Explore The Great Water OdysseySM to find out. It’s hot, and it looks like Olliewood is drying up. But Hydro and Agua are not discouraged. In the fourth-grade version of The Great Water OdysseySM, they unlock the secrets of water, learning that it is everywhere, even when it can’t be seen. Students learn about habitats, watersheds, history, the aquifer system and how humans affect water and Florida’s environment. They unlock games along the way, including Fish Chomp, Build a Beast and Math Maze. Hydro and Agua are ready to rain, so they’re happy to meet Plop, a rather overexcited waterdrop who takes them to a watershed in Florida. But there’s a drought going on, and Raleigh Otter shows our heroes why that’s a big deal in the food chains of Florida’s estuaries, wetlands, lakes and rivers. When Agua challenges Hydro to find a single item in a grocery store that doesn’t require water in its making, he learns an important lesson — everything requires water. In the checkout lane, we learn how much water is required to make french fries and other foods. An X-ray view of the human body shows us how water is used by the brain, lungs and other body parts. After accidentally stumbling into a time machine, Hydro and Agua end up helping Ramon the Raccoon collect artifacts from Florida’s history. They help assemble stories about the state’s inhabitants in the 1500s, 1800s and 1900s. Along the way, the adventurers discover how the state’s earliest inhabitants used water and how things changed over the years. Bored? 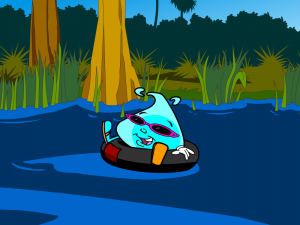 Splat knows where there’s a party going on, and she takes Hydro and Agua underground on a wild ride through the aquifer. There they meet up with other drops to learn how water travels underground and replenishes Florida’s number one water source. As they explore an interactive landscape, they learn that groundwater impacts the surface in many ways, through lake levels, wells and springs. If they can get enough points, Hydro and Agua can bring the rain that Olliewood so desperately needs. Can they do it? Only with your help. 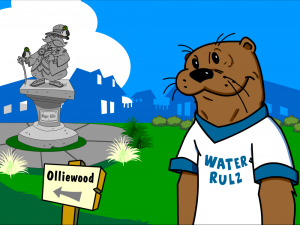 As Raleigh Otter says, when the townspeople use their water resources wisely while conserving and reusing, Olliewood is a great place to live. This will be even truer if Olliewood can build a water park in the fifth-grade version of The Great Water OdysseySM. But first Hydro and Agua will need the help of farmers, residents and the mayor of Olliewood. While trying to get enough points to build a water park, students learn about the biology of farming and landscaping, they reinforce math skills, and they learn to meet the needs of a town while maintaining water levels necessary to support natural systems. Rewarding games include Design a Landscape, Water’s Journey and Watering Woes. Mayor Ollie is in a bind. Olliewood is growing and its residents wants to build a water park, but the mayor needs to find ways to ensure that there is enough water for everyone. Hydro, Agua and a mouse named Doc step in to help. They get a lesson in civics and leave clues around town for students to find that help the mayor plan for the future. Francois the Caterpillar is surprised when Hydro and Agua transpire into the garden where he lives. The waterdrops are happy to learn that it’s a waterwise garden, where factors such as rainfall, soil type, plants’ water requirements and responsible landscaping are used to determine what plants go where. Francois is more than happy to give them a colorful tour. Farming is an important industry in Florida, and Hydro and Agua are proud to learn how important water is in farming. After Hydro realizes Betty Moo the Cow isn’t out to drink or step on him, he explores her farm through an interactive map and learns the complex science behind agriculture. If they succeed, our fun-loving waterdrops may never be bored again. They’ll be water heroes and may even get to name the new water park!